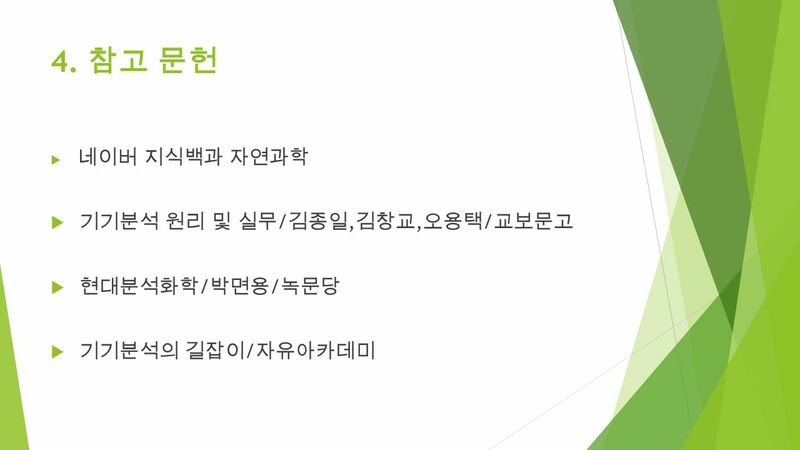 3 1. 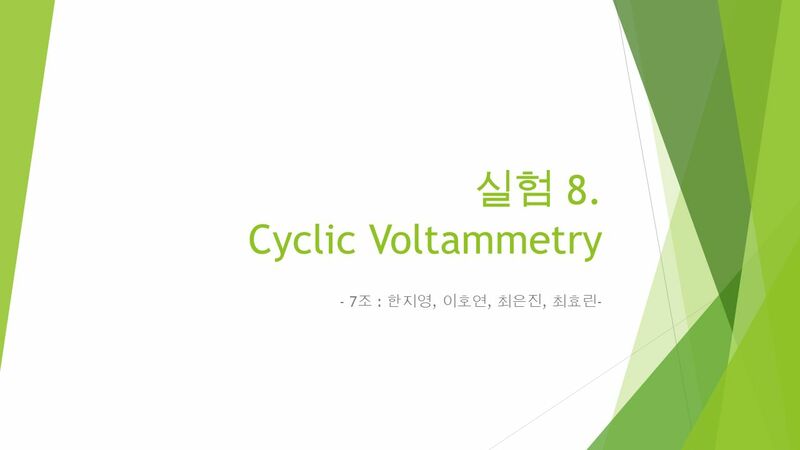 실험 목적  Cyclic voltammetry 의 원리를 알아보고 voltammogram 의 해석 방법을 이해한다. 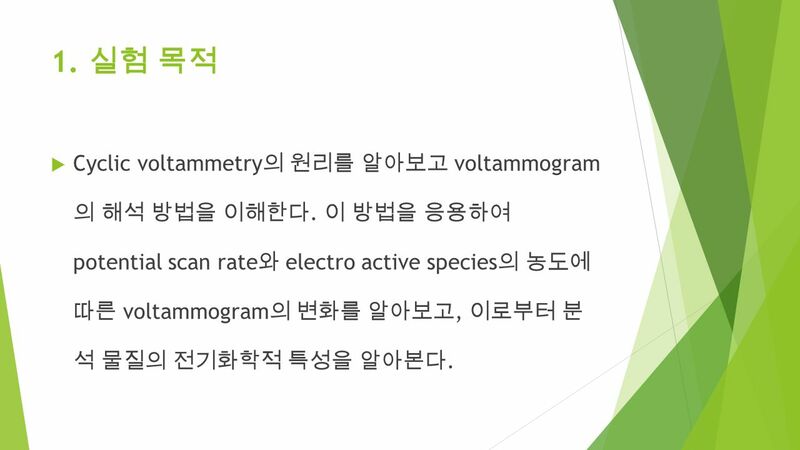 이 방법을 응용하여 potential scan rate 와 electro active species 의 농도에 따른 voltammogram 의 변화를 알아보고, 이로부터 분 석 물질의 전기화학적 특성을 알아본다. 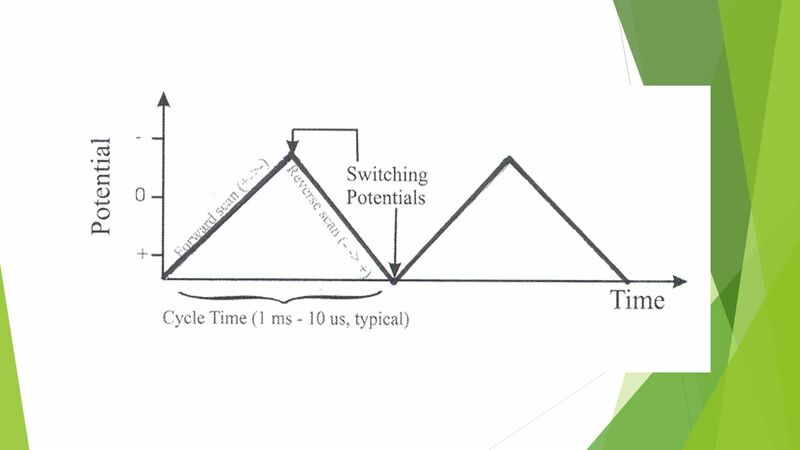 6 (2)-1. 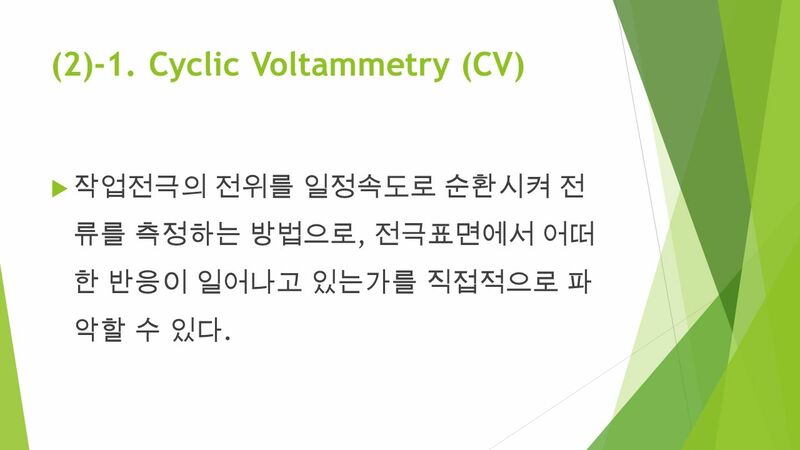 Cyclic Voltammetry (CV)  작업전극의 전위를 일정속도로 순환시켜 전 류를 측정하는 방법으로, 전극표면에서 어떠 한 반응이 일어나고 있는가를 직접적으로 파 악할 수 있다. 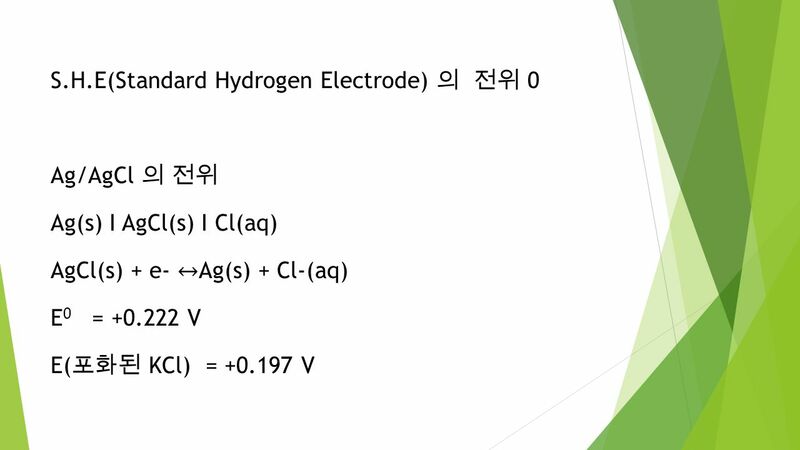 16  2) Cycle the electrode between 0 and 1.7 V for 10 minutes at 50mV/sec. 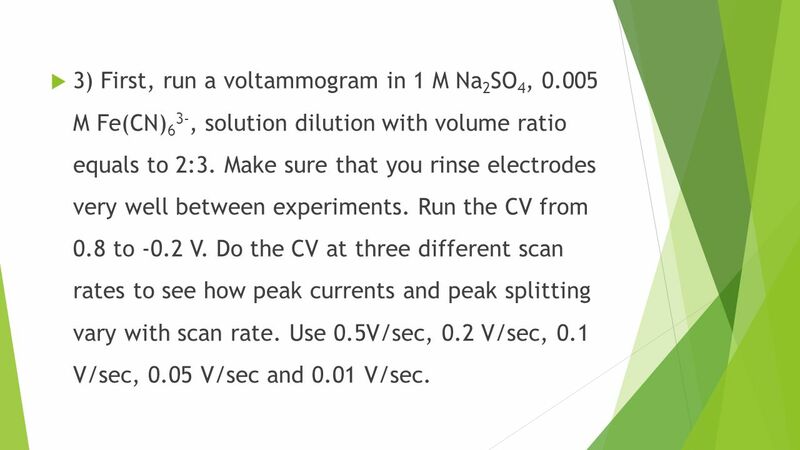 (Select these parameters in the cyclic voltammetry technique and simply put in a ridiculously large number of scans.) 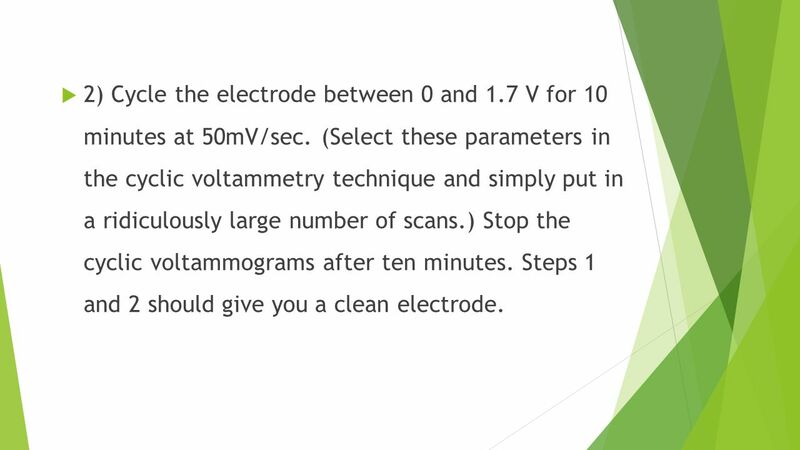 Stop the cyclic voltammograms after ten minutes. 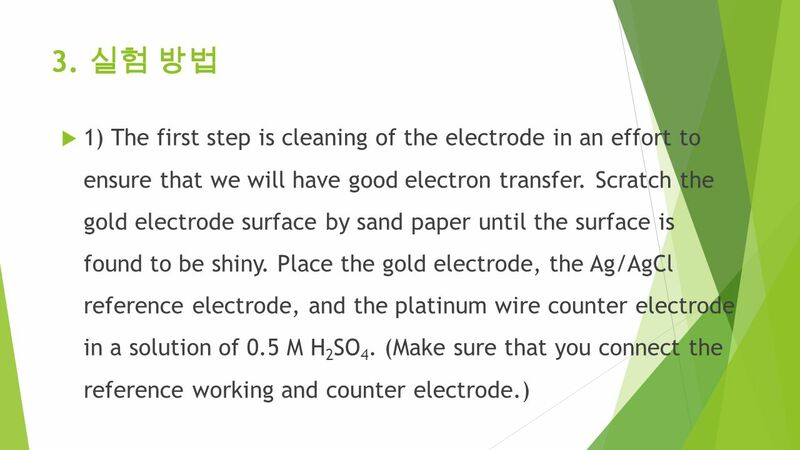 Steps 1 and 2 should give you a clean electrode. 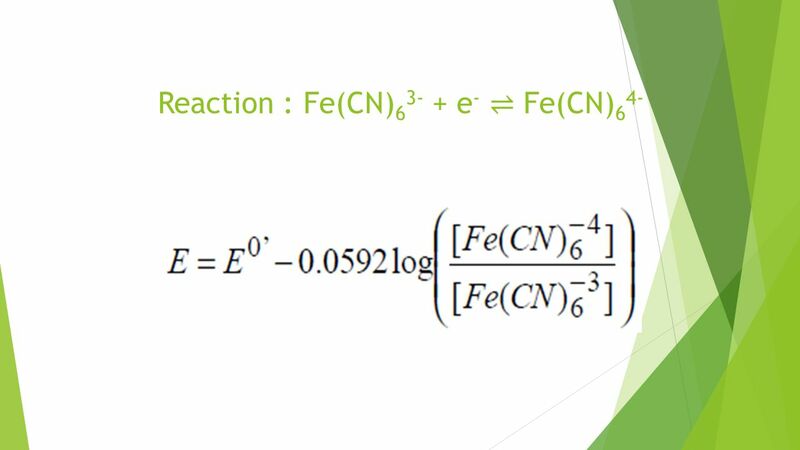 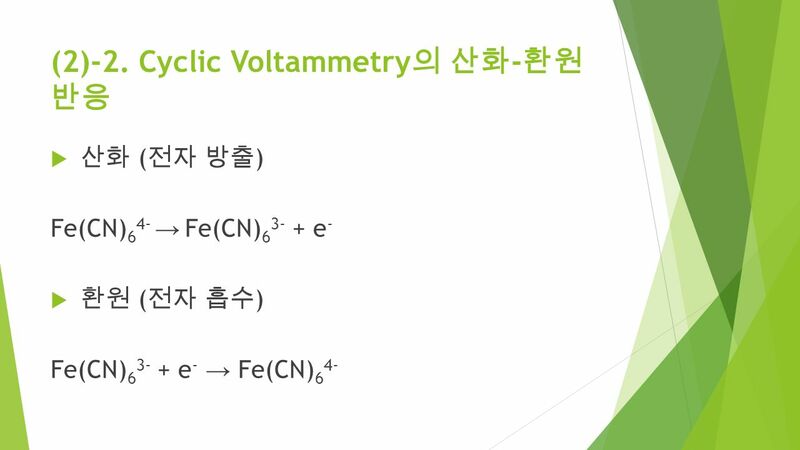 17  3) First, run a voltammogram in 1 M Na 2 SO 4, 0.005 M Fe(CN) 6 3-, solution dilution with volume ratio equals to 2:3. 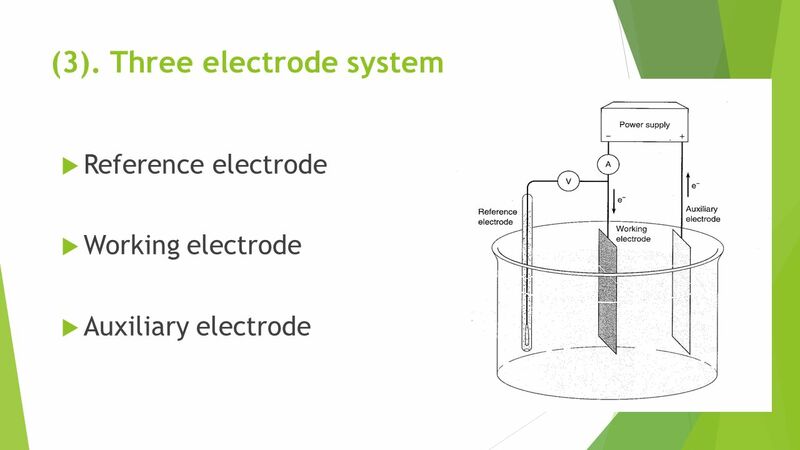 Make sure that you rinse electrodes very well between experiments. 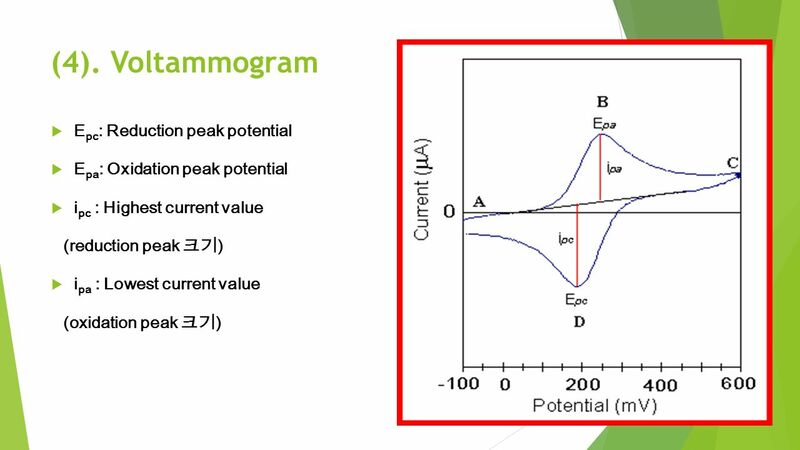 Run the CV from 0.8 to -0.2 V. Do the CV at three different scan rates to see how peak currents and peak splitting vary with scan rate. 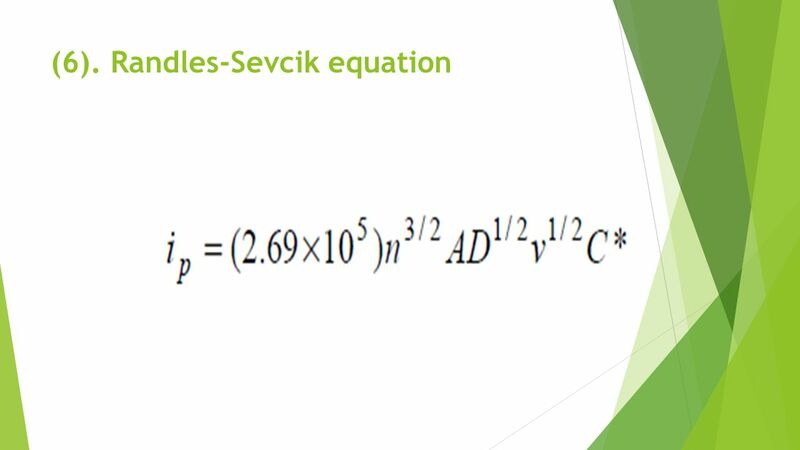 Use 0.5V/sec, 0.2 V/sec, 0.1 V/sec, 0.05 V/sec and 0.01 V/sec. 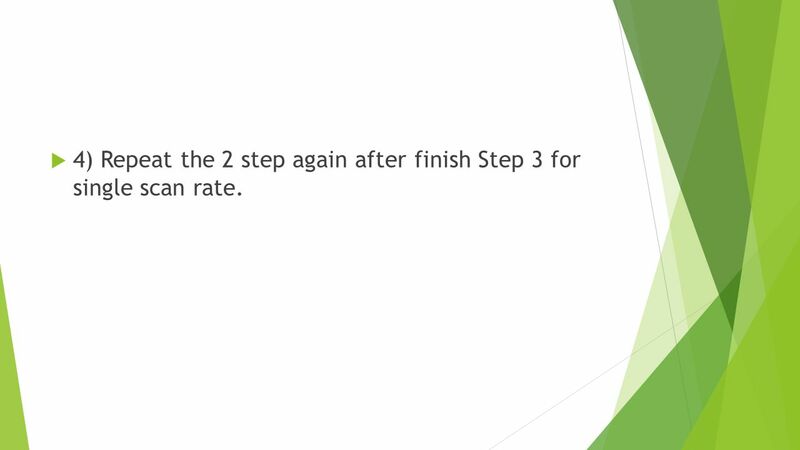 18  4) Repeat the 2 step again after finish Step 3 for single scan rate. 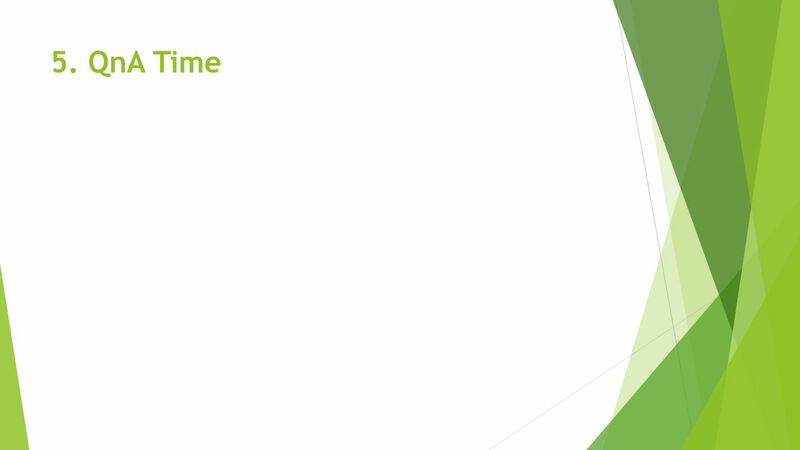 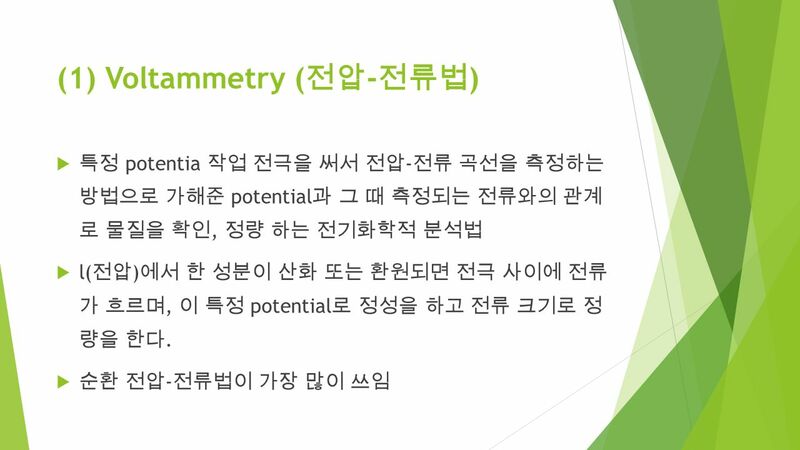 Download ppt "실험 8. 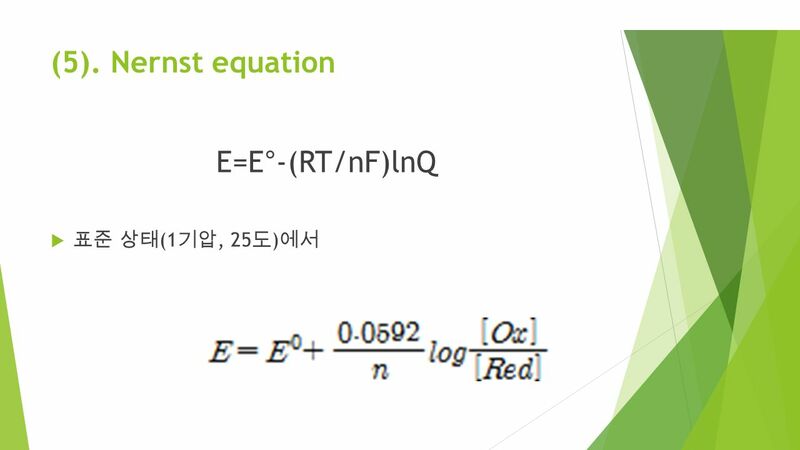 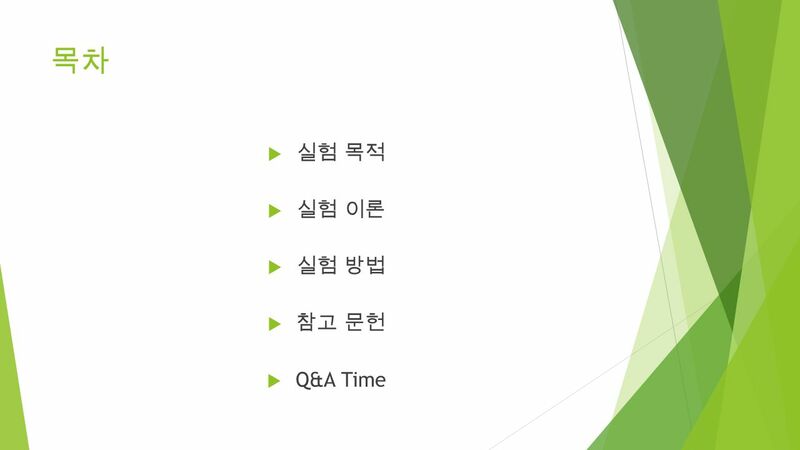 Cyclic Voltammetry - 7 조 : 한지영, 이호연, 최은진, 최효린 -"
Who, what, how to 부정사 “ 의문사와 to 부정사 ” 의 결합으로 사용되는 여러가지 용법을 이해하고, 올바르게 사용한다.